We have just built a pergola in out backyard and are wanting a vine to grow up and around the posts. We have 3 dogs and also have a cat that loves to go outside. We are really looking for something that is non-toxic for them. We want something that is going to be able to handle the heat and also come back every year. We are also wanting other plants that are dog friendly that come back every year. Check the ASPCA lists of Toxic and Non-Toxic Plant List—Cats and Toxic and Non-Toxic Plant List—Dogs. For both lists, the first half of the list is for the toxic plants and the last half is for the non-toxic plants. Of course, not every plant can be accounted for in these lists, but these are the more common plants that the dog or cat might come in contact with. Bignonia capreolata (Crossvine) is semi-evergreen. Lonicera sempervirens (Coral honeysuckle) also is evergreen or semi-evergreen. Gelsemium sempervirens (Carolina jessamine) not listed on the ASPCA list but is listed on Cornell University's Department of Animal Science - Plants Poisonous to Livestock and also on Plants Poisonous to Livestock and Pets in North Carolina. Wisteria frutescens (American wisteria) is also listed on Cornell University's Department of Animal Science - Plants Poisonous to Livestock and also in the Penn Veterinary Medicine Poisonous Plants. To find perennial native plants that are not toxic to dogs, you can do a COMBINATION SEARCH in our Native Plant Database choosing "Texas" from the Select State or Province slot and "Perennial" from Duration (lifespan) and you can also select other criteria from the list. You can also go to the "Plants for Central Texas" list on our Special Collections page for shorter lists of plants that you can then use the NARROW YOUR SEARCH option to filter the plants on those lists. Once you've picked out plants that you find interesting, then compare them to the ASPCA lists and the other Toxic Plant Databases listed above. 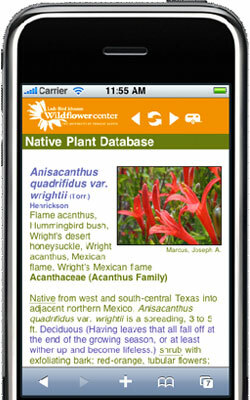 Use the scientific name to make comparisons since there can be multiple commonn names for plants. Rash resulting from cutting trees in NC.